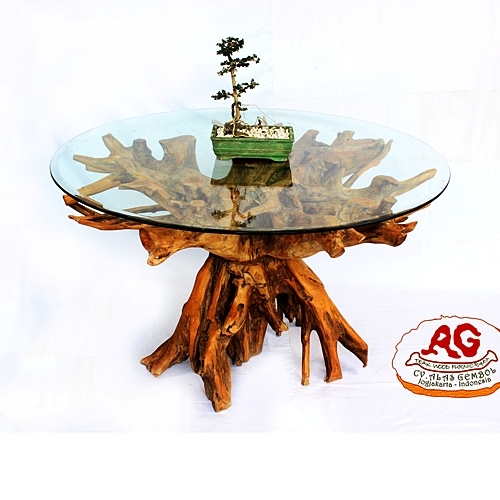 We have a lot of item and design of teak root tables. Teak Wood, suar wood and lychee wood is a natural material that can be easily cut and shaped which gives you the chance to make all types of tables. For instance, you can make some shape of wood logs, or maybe create some interesting shape out of wood slices. Alas gembol is furniture manufacturer and export company located in Java Indonesia, where the largest teak plantation in the world located. We have export permit and vlegal wood certificate. INDONESIA INTERNATIONAL FURNITURE EXPO – RETURNS TO JAKARTA ! Be ready to source from the finest producers in Indonesia. Plan your attendance now and make your way to find the best in furniture craftman ship and quality. With the new theme of Redefine/Inspire/Innovation IFEX 2019 (Indonesia Furniture Expo 2019) will take furniture industry into the next level, connecting buyers and sellers, in a professional marketplace – the only of its kind in Indonesia. IFEX 2019 is a must – attend event for furniture professionals around the world. From finest rattan, wood furniture, outdoor furniture and unique décor products, IFEX 2019 covers a complete range of products to fulfill the buyers’ appetite. I am sure people—specially you—around the world have plenty resolutions to do. A new business strategy, new project, or maybe you think of breaking uncontrolled things, plan some other things and blablabla…. Left behind 2018. Firstly in the beginning of this month, I kept thinking how to break my old dining table. I wanna give it a new look in a simple way. Despite buying a new dining table, I decided to place some objects to refresh it. I give my first glance to those teak bowls. Put some fruits on it. Pick some flowers too, throw them in. Done! So simple? I used to store fruit in fridge, flowers in a glass vase. So, I did a little exchange and it gives a different look on my dining table. Off course, I love the color combination of fruits-flowers and the natural polish teak bowl. It’s beautiful. In tropical countries, flies fly around dining table. Candle can very useful to send them away, It’s also brings different atmosphere. Those candle holders save my dining table from melting wax and surely give a new feel. Which one is your choice? Teak root console table have a various shape of the body depend on the root material. Instance of modern furniture, teak root console table give us a different nuance to our room.